Not so sure I am really happy over here at WordPress. I kinda miss my old Blogger ways. Neither site is perfect, and this one is not so bad that I want to jump ship, but every now and then I have a feeling of longing… it’s like homesickness… as though I am not sure sure I belong here. And would it be so completely wishy-washy to drag all of you all the way back to the old site? You all think I am mad. 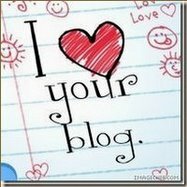 A blog is a blog is a blog. But it ain’t so. For example, I wanted to show you all this amazing picture that Alexander drew the other day. So at Blogger I could have easily embedded this image directly from Picassa or uploaded it from my computer. But I can’t here and I am so maddened and frustrated. Anyhow if you click on the link below you will see my little Picasso! That picture is awesome! I think you’ll be keeping that. BTW, in picasaweb, there’s a way to copy code to embed the pic in your blog. When you click on “link to this photo” to the right, it gives you the link, or you can copy the “embed image” stuff. That may work. (Not sure if you’d have to go into html mode for that or something). love the picture….I think you should frame it for D to take into work and display in his office. LMAO!! !